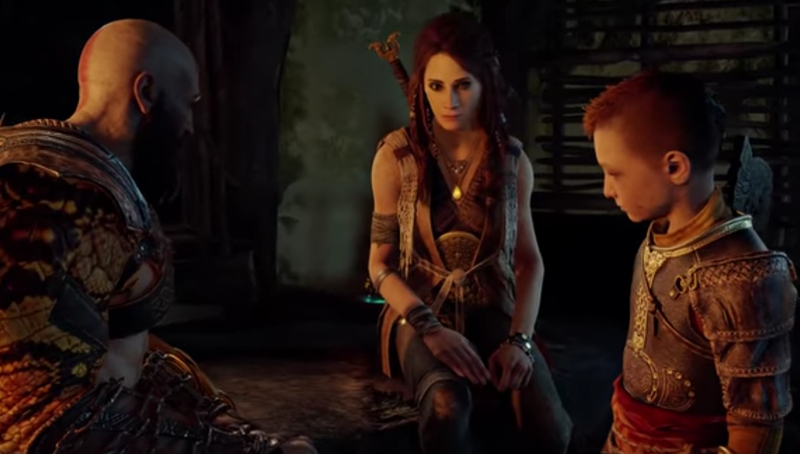 Our walkthrough for The Sickness follows Kratos' hunt for a powerful remedy. The ninth story mission in God of War is titled The Sickness, and this walkthrough will cover the path Kratos must take to brave the fiends of Helheim and secure a much-needed remedy by felling the massive guard found at the Bridge of the Damned. Carry Atreus out to the boat, get in, then paddle through the caverns and into the Witch's Cave. Continue toward the quest marker until docking at the pier with the white flag. Use the lift to reach the upper level, then follow the path up to Freya's hut to trigger a cutscene. With the mission objective now clear, head through the door and climb into the festively decorated boat. Kratos will set off down his path automatically, so sit back and wait until he arrives at the dock. From there, turn to the right and climb the hill, fighting enemies along the way, then enter the cabin. 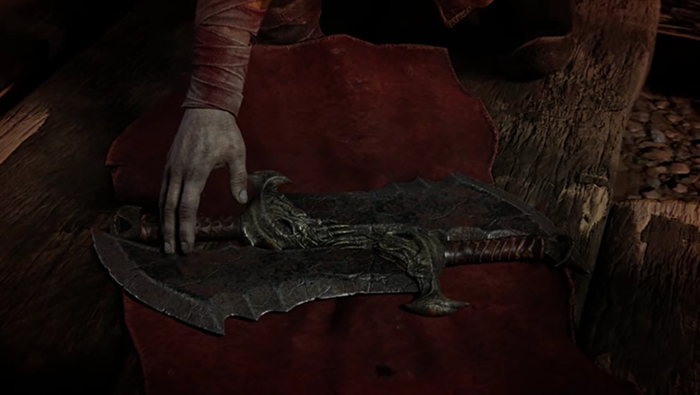 Inside, Kratos will pull out a familiar set of weapons. With the Blades of Chaos locked and loaded, head out the door and lay the hurt down on the group of foes that have amassed together outside. Once they've all been cut down, Kratos will spot a new door to the realm travel temple appear within the courtyard. Head through the portal, then start making way down the frozen path and take the door to Brok's shop. After catching up with him, go to the Realm Travel room and travel to Helheim. Exit through the double door to reach the frozen expanse known as Helheim. Take out the enemies that stray into Kratos' path, then look for the brier patch blocking the path. Loot the chest next to the briers, then strike them with the Blades of Chaos to set them alight and clear the passageway. One the other side, take out the enemies, then follow the path up to and through the giant stone archway. The path forward will be blocked by a door, so turn to the left and burn the briers, then turn right, burn the bushes, and follow the narrow ledge across to the other side. Another patch will be blocking a treasure chest on the right side of the area; open it, being careful not to get flanked by enemies. Afterward, climb to the top of the taller stone pillar, grappling around to the side where necessary, then climb down the other to reach the bottom of the ledge. Claim the chest hidden between the two pillars, then head toward the cliff's edge to drop into a new area. Take out the foes, then burn the brambles to climb up to the ledge above. Take out the stones on the right hand side to drop a pillar, drop down again, then climb on top of the pillar to reach the climbable portion of the wall. Burn the briers, then look for the climbable wall on the right-hand side. Follow it up, then climb another wall to reach the Bridge of the Damned. Drop down the cliff and prepare for battle. The Bridge Keeper known as Mattugr Helson is both ugly and unfriendly, and will jump into action the moment he sees Kratos. Focus attacks on his legs, making sure to back away when he begins slamming his illuminated column on the ground. Occasionally the Bridge Keeper will teleport, and when he reappears, he'll often send out a set of minions to attack Kratos. Take them out, dodging the Keeper's frozen projectile attack, then resume hitting him full-force. His attacks follow a fairly simple pattern, and players shouldn't have too much trouble taking him down assuming they don't allow him to open up too much distance. Once Mattugr has been taken out in a most violent fashion, Kratos will claim his prize. Watch the brief cutscene, then prepare for the trek back to the Realm Travel Room. At the rear of the arena will be a door that Kratos can't yet open. 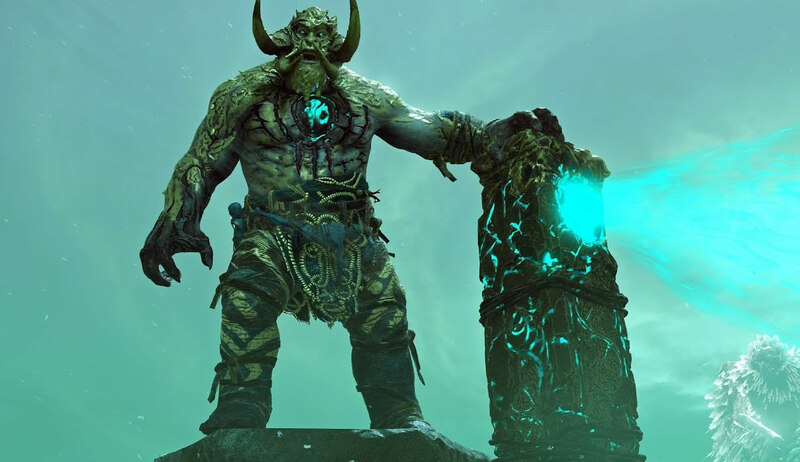 Next to a nearby pillar, Brok will make an appearance, granting Kratos with the Winds of Hel. Use it to open the door, then use it again on the second and third doors down the path. Eventually Kratos will come upon an ice cave covered in brambles; burn them, then squat and crawl through the corridor. Use the Winds of Hel again to open the door, then do battle with the knight resting on the other side. Once through the stone archway, take out the enemies, then take the stairs down and follow the path back to the area entrance. Hit the Realm Travel Room and travel back to Midgard. Brok will provide a quick update on his efforts with regard to Realm Travel. From now on, Kratos will be able to use passageways in both directions, so head over to the portal opposite Brok's work station and step through. Navigate the path to arrive back outside Freya's cabin. 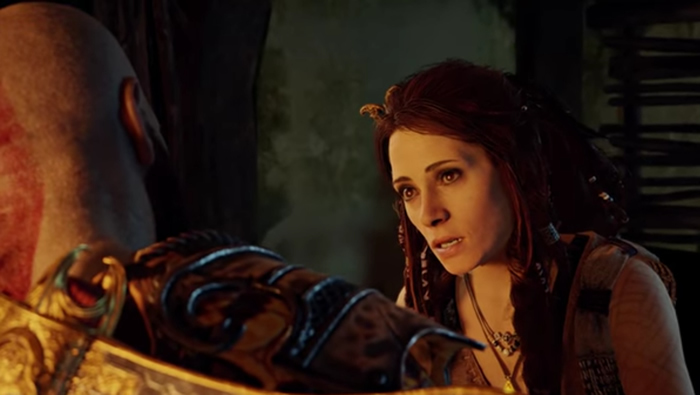 Freya will hold up her end of the agreement, so sit back and watch the cutscene play out. This conversation with Freya marks the end of The Sickness, paving the way for the upcoming mission The Black Rune. Stay on top of the rest of the game's story and collectibles by checking out Shacknews' God of War walkthrough and guide.